We have become one of the largest manufacturers and exporters of cast iron moulds and cast iron ingot moulds according to international specification. 3" x 4" 5" x 6"
3 ½ " x 4 ½" 6" x 7"
4" x 5" 7" x 8"
Magnesium metal is an alkaline earth metal that has the symbol Mg in the periodic table of elements. Magnesium metal is a fairly strong, silvery-white, light-weight metal (one third lighter than aluminum) that slightly tarnishes when exposed to air. In a powder, this metal heats and ignites when exposed to moisture and burns with a white flame. It is difficult to ignite in bulk, though it is easy to light if it is shaved into thin strips. Once ignited, it is difficult to extinguish. Minaleg trades, buys and distributes ferro-alloys, non ferrous metals and scrap. Click on the menu at left for details on the origin, size and metal index of our products. Manganese is an important alloying agent. 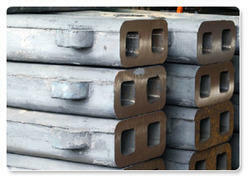 It is added to improve the strength, toughness, stiffness, hardness, wear resistance, and harden ability of steels. Together with aluminum and antimony, especially in the presence of copper, it forms highly ferromagnetic alloys. 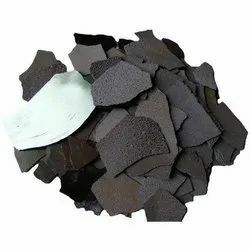 Manganese dioxide is used as a depolarizer in dry cells and as a decolorizing agent for glass that has been colored green due to iron impurities. 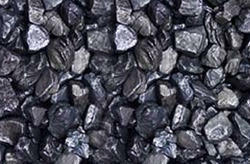 The dioxide is also used in drying black paints and in the preparation of oxygen and chlorine. Manganese colors glass an amethyst color and is the coloring agent in natural amethyst. The permanganate is used as an oxidizing agent and is useful for qualitative analysis and in medicine. Manganese is an important trace element in nutrition, although exposure to the element is toxic in higher quantities. 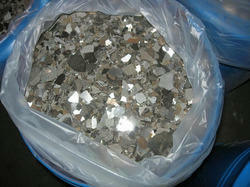 Looking for Magnesium Metal Manganese Metal Flakes ?